See the greatest movie posters ever made! While movie studios have produced some memorable movie posters, some stand head and shoulders above the rest. Normally, the artist of the poster isn't identified, but every now and then an artist produces such amazing illustrations that we learn they're names. So, where possible, I've identified the artist. From E.T. 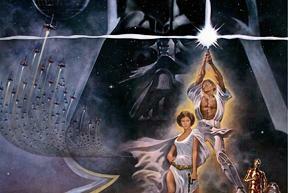 to Star Wars, here are the greatest movie posters in science fiction history. Did your favorite make the list? If so, where did it rank? Which is your favorite science fiction movie poster? Is there one I missed? Would you change the order of any of them? The Thing - cool choice. No love for Aliens though? 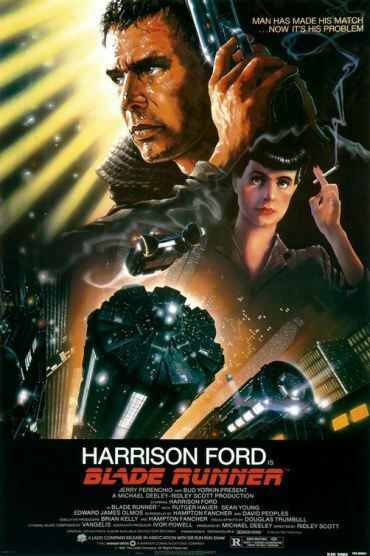 Love the Blade Runner poster, glad to see it #1. I own the Empire Strikes back one. I like that original one a lot better than the one for the Special Edition. Gone With The Wind, is one I'd love to have. But honestly these are wonderful art. So colorful. I'd love to own any one of them! But of your choices I'd pick the Winged Serpent! Have a thing for dragons too! I LOVE the movie poster for Casablanca. When I was a kid, I had a copy of the Star Wars New Hope one. Darnit, where did I put it??? I like the Back to the Future one the best, probably because it was my favorite film then. Hard to believe it's been that long since its release. I love the old posters, and The Empire Strikes Back. Probably because that was my favorite of the 6 movies. I know. It's still a ground breaking film. If this had just been a movie poster list that one would be in the top five. Find that poster! Beautiful! I do love a good movie poster, as you guys know - and there are some absolute gems in this list! Cheers! It's our own maniacal movie poster Monday! My favorite post of the week Man. Yeah, the movie's only redeeming feature is the poster. I almost did Aliens but it's just the title. Unless there's one I don't know about. Too bad. Great quote from a great movie David! Cool Pat! That's a real prize. It's a great poster Yolanda, even though the movie is garbage like Alex said. Gone With The Wind is another classic. OMG, there are so many cool Sci-Fi posters on this list....many from movies that I've never even seen nor am familiar with but like them just the same. "E.T." has always been a favorite of mine because it conveys enough information to let you know what it's about but even better...it's fascinating enough to make you look at it in wonder...like gazing at the stars, you want to see what this "E.T." is all about. The "Indiana Jones" poster is another goodie because it's so classic and stands the text of time. I haven't seen the movies, but can usually spot the Indiana Jones color scheme and/or layout, almost anywhere...on fan illustrations, mashups, parodies, news, advertising, television, etc. so the designer and/or producers did a good job of making something memorable. One of the things I love about Sci-Fi movie posters (especially the old ones) are that they're pretty artistic in nature, making them sorta collectible art pieces. Many of them also do a good job in eliciting some kind of reaction. "Attack of the 50 ft. Woman" makes me go..."Ooooh, I don't want to mess with THAT lady!" lol, so it's effective in causing hysteria. I also like the 1979 re-release poster for "Barbarella" because it looks like it was fun to sketch out the first concepts and draw that....assuming that it's an illustration. The "Barbarella" poster is something that anyone could look at and...if they weren't familiar with the movie...they could frame it or put it on a calendar or hang it up as decoration or something. It's a cool looking image...one that I could see being used as a car windshield cover or maybe even one of those sheets that cover the entire vehicle, or better yet, as the main panel on the entrance door to a really cool retail shop. I doubt the producers went that far into their merchandising tho, but I'm just saying....it could work, lol.